New Whitman Street looking east. New Whitman Street looking west. 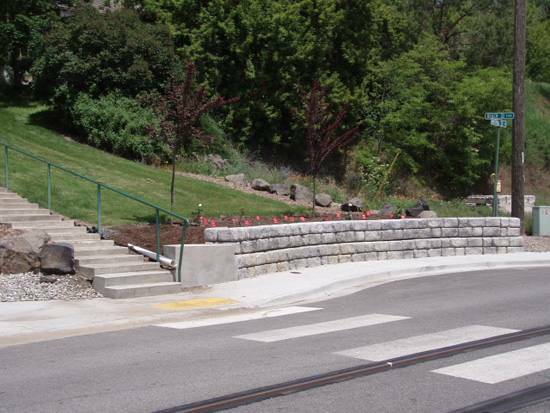 Detail of retaining wall on Whitman Street. Concept: Washington State DOT artist’s rendering of the completed project. Christmas comes early to Palouse! 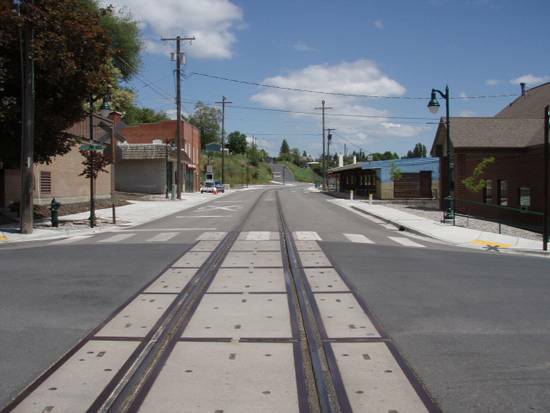 The Whitman Street Reconstruction and Revitalization project became official on November 17th when the Washington State Transportation Improvement Board (TIB) approved funding of $455,000 towards the $700,000 revitalization project. 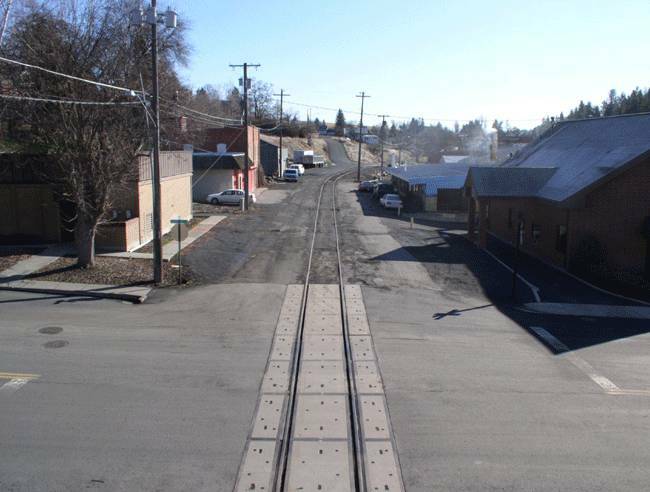 The city of Palouse had previously allocated $35,000 in local matching funds and is currently working with the Washington State Department of Transportation (WSDOT) to secure additional revenues to upgrade the railroad line traversing the project area to complete the funding package. 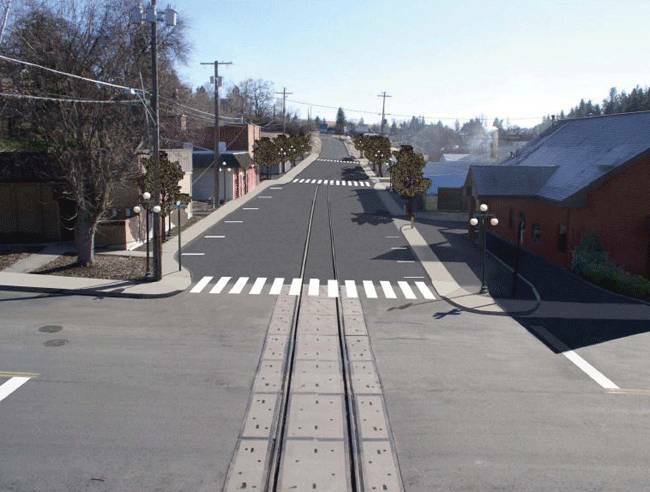 The Whitman Street project is a total infrastructure renewal project that will not only replace the road and road bed but will include new sidewalks, lighting, landscaping and railroad line. Water, sewer and storm drain infrastructure will be upgraded at the same time. The project area begins at the intersection of Bridge and Whitman and extends two blocks east to North Hall. 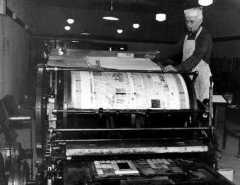 The project timeline has yet to be established. Darcie Bagott, Palouse Councilmember and Chair of the Streets and Sidewalks Committee, will be the project coordinator representing the city. 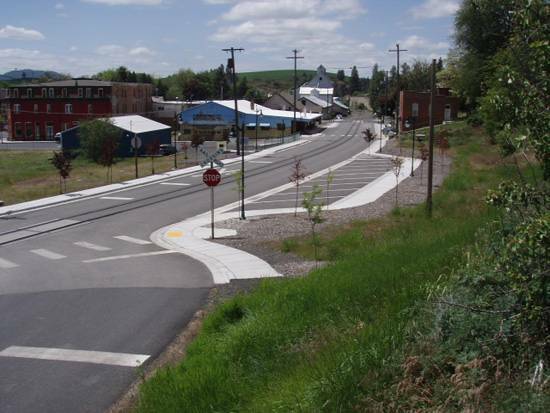 The city of Palouse plans to continue working closely with adjacent property owners to develop a final design that makes the most of this wonderful opportunity to re-engineer Whitman Street .